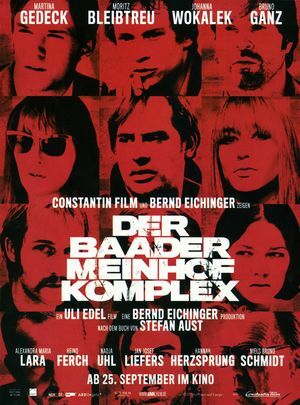 Der Baader Meinhof Komplex movie poster. 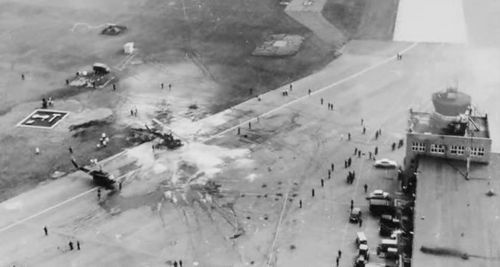 A look at Germany's terrorist group, The Red Army Faction (RAF-Rote Armee Fraktion), which organized bombings, robberies, kidnappings and assassinations in the late 1960s and '70s. 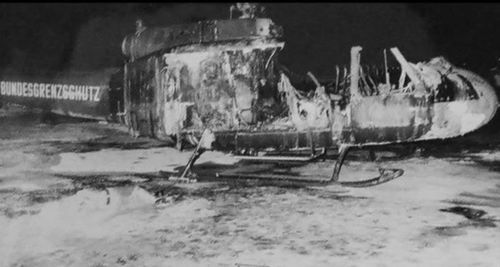 Bell UH-1 Iroquois of the BGS- Bundesgrenzschutz. 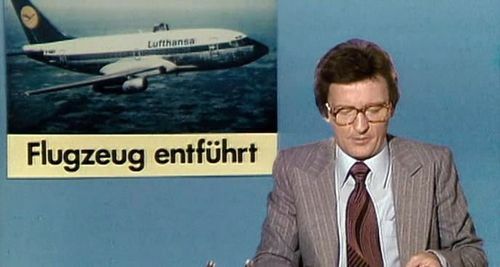 Poster at TV News, evocating the Boeing 737-230C from Lufthansa hijacked in Mogadishu in 1977. The aircraft shown is an earlier Series 130, shorter initial version of the 737. This page was last modified on 30 October 2015, at 18:09.